This year’s LRC Mdina Glass 10K will be held on Sunday 15th September at 7.30am. A 10K walk along the race route will also be held. €2 for every application will be donated to ‘Breaking Limits’. The MAAA in collaboration with the IAAF will be organizing a Basic Course for Technical Officials. The Association has opted for the Basic Course due to the fact that the majority of the interested candidates have had no previous experience in the subject. There will be an examination at the end of the course and certificate will be awarded to the success applicants. Attendance for this course is free of charge. This is my application to attend for the Technical Officials Course mentioned above. The MAAA have shortlisted athletes for the European Kids Athletics being held in Brno in September 2013. For further details click here. A meeting for current and potential National Team Athletes will be held on Monday 19th August. The meeting will be held in the ‘Aluminium Room’, Marsa Athletic Track and will start at 6.30 p.m. Please find further details in the attachment. Results of Summer Meeting 2 are available by clicking here. 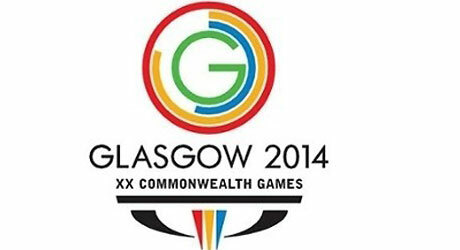 The MOC has published the MQSs for next years Commonwealth Games which are being held in Glasgow. For these MQSs click here. The MQSs are also available through the athletes section of the website. Time table for the last T&F Event of the year is available here. Added events are highlighted in yellow. 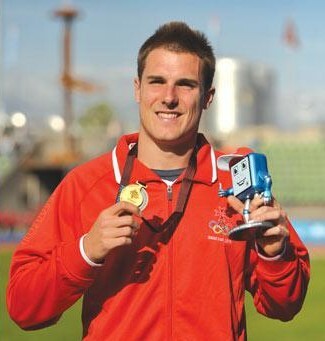 Kevin Moore, a Maltese athlete resident in Melbourne, Australia, recently represented our country at the Games of the Small States of Europe in Luxembourg and won a gold medal for Malta. In fact this was the only gold in athletics won by our team in an otherwise lack-lustre representation. It is therefore with some expectation that Moore will be representing Malta at the World Athletics Championships being held in Moscow between the 10th and 18th of this month. Kevin will participate in the 400m and will be running his first heat on Sunday 11th August at 9:05a.m. Moscow time, which is two hours ahead of Malta’s. Only a week ago, in preparation for this prestigious event, he took part in an athletics meeting in Brussels and again ran the 400m in a new National Record time of 47.26 seconds, before continuing his training on Maltese soil. In Moscow Moore will be accompanied by Athletics Malta President Mr. Anthony Chircop, in Moscow from the 6th of August to attend the IAAF Congress which will end on the Thursday before the Championships. Other meetings in Moscow which Mr. Chircop will be attending include the Annual Assembly of the Mediterranean Athletic Union, as a Council member of this new body of athletics set up just two years ago, and the Assembly of the members of the Small States of Europe. Mr John William Steffenson, Kevin Moore’s personal coach and himself an accomplished 400m runner, will be flying all the way from Australia to assist his protege, on whom rests high hopes of advancement to further rounds at this gathering of the finest one lap sprinters on the world stage.